About Watkins Mind Body Spirit magazine: Watkins Mind Body Spirit is a quarterly esoteric magazine published by Watkins Books in London. Like the famous bookshop, the magazine covers a wide range of subjects from contemporary spirituality toself development and mysticism to Eastern philosophy. Watkins’ Mind Body Spirit dates back to 1893, when John Watkins published his first volume of the Book-Notes, which included book reviews, occult news and excerpts from recommended books. 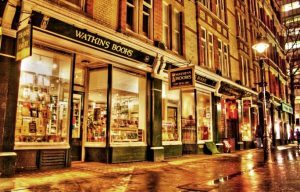 About Watkins Books: Established over 100 years ago, we are one of the world’s oldest and leading independent bookshops specialising in esoterica. We have a wide choice of new books and latest releases, as well as some rare and antiquarian titles, plus, a collection of hand made statues and personal talismans, crystals and tarot that will make for a perfect present! Whatever subject may interest you, our friendly and knowledgeable staff are here to help in a unique ambiance of our shop. To plan your visit, see the map and directions, and read about the history of the bookshop that’s over 120 years old. Visit www.watkinsbooks.com. Watkins Mind Body Spirit magazine – available on Apple Newsstand, Google Play, Nook and Kobo. Read the latest issue, download back issues and subscribe to the digital version of Watkins MBS magazine. Fenopalm – As the first interactive and social palm-reading app, fenopalm is unique. Using image recognition techniques and Facebook, it scans your palm and generates an interactive video on the fly. Our palm reading master, Swami, will surprise you with his findings. He will also recommend books relevant to your social, emotional and professional wellbeing. View demo here or download from the Appstore. Watkins Mind Body Spirit eBooks and Magazine – This app on Apple AppStore (Watkins Ebooks and Magazines) and Google Play (Mind Body Spirit Books Watkins) is our curated platform for Mind Body Spirit books. The Mind Body Spirit Books by Watkins is the premiere ebook reader for the Mind Body and Spirit field that offers an easy-to-use interface for reading spiritual books on your iPhone, iPad or Android device. Browse and download spiritual books, flip through the pages, customize your reading experience, search texts and lookup word definitions – and a lot more. 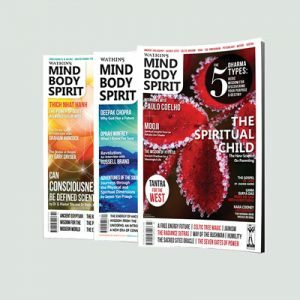 Now you can also download and read the latest issues of the Watkins’ Mind Body Spirit magazine – all in the same app! Read the latest articles by well-known authors in the magazine, and download their latest ebooks to read within the app. The app also features a GPS-powered Spiritual Sightings Map which allows you to see spiritual and paranormal places next to your location on the map. All places are submitted by other Spiritual Map users and you can share your own sightings simply by filling out quick details under ‘submit report’. Whether you’re looking to improve your knowledge of yoga, searching for perennial wisdom or contemporary spirituality, the Mind Body Spirit Books app is sure to be a source of inspiration.